Most of this we already know because Jarred Land, the new President at RED Digital Cinema popped the news early on Facebook. 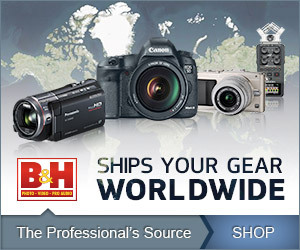 We were the first Tech Journalist Site to break the story a couple of days ago. But now it’s the official release of the eagerly anticipated camera. able to record 4K (4096 x 2160) up to 120 fps, 3K (3072 x 1620) up to 160 fps and, 2K (2048 x 1080) up to 240 fps at frame rates of 23.98, 24, 25, 29.97, 47.96, 48, 50, 59.94 fps. 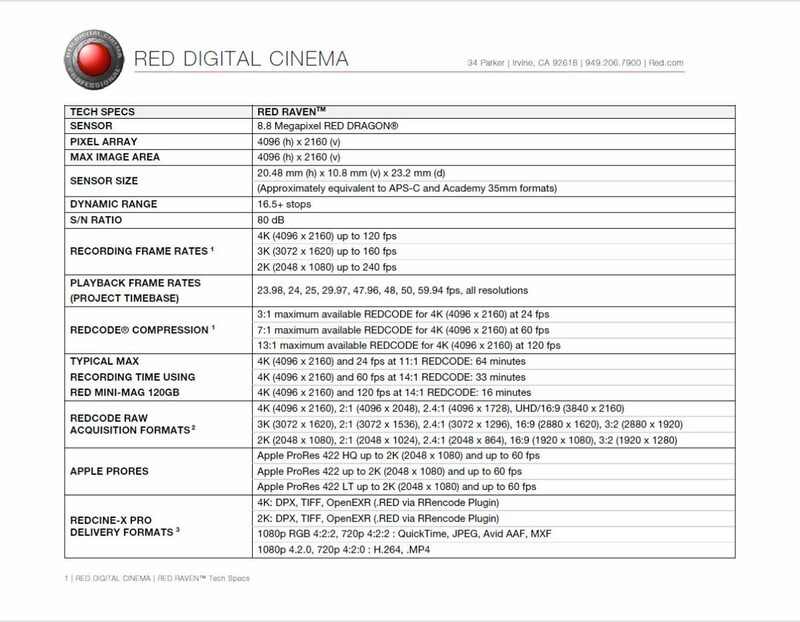 The REDCODE compression schemes range from 13:1 for 4K @ 120fps to 7:1 @60fps and 3:1 @ 24fps. All of that means that with a RED 120GB MINI-MAG you will get 16-64 minutes of recording times depending upon frame rate and compression. Apple ProRes 422 up to 2K (2048 x 1080) and up to 60 fps, Apple ProRes 422 LT up to 2K (2048 x 1080) and up to 60 fps. With a Blueshape Battery instead of the RED Version will save you a little more and give you more flexibility since the RED batteries can only be used on the RED. For you budget minded wannabe RED shooters out there that means you can squeeze yourself into a RED Raven Package for about $8500. The official release has a few more goodies in there. IRVINE, CA – September 25th, 2015. 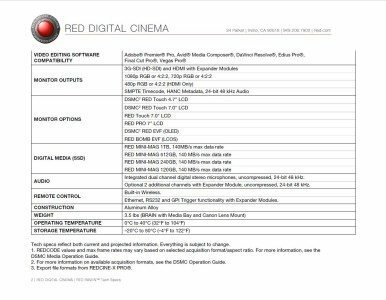 Today, RED Digital Cinema unveiled the latest addition to its line of professional cameras, RED RAVEN. Weighing in at only 3.5 pounds, RED RAVEN is RED’s lightest and most compact camera, making it the ultimate choice for a range of applications including documentaries, online content creation, indie filmmaking, and use with drones or gimbals. 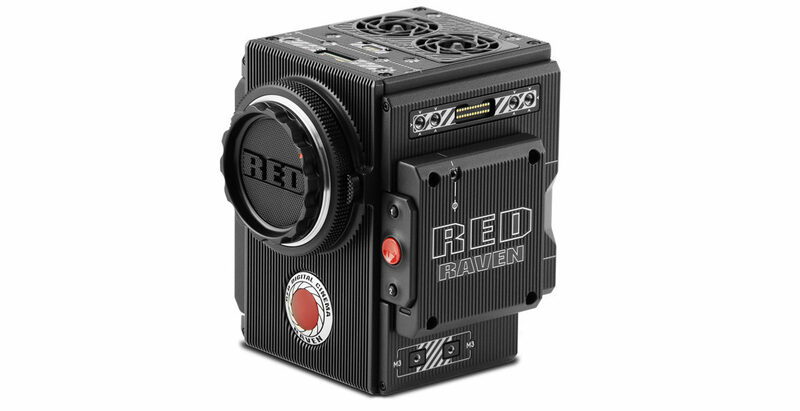 With pricing that starts at $5,950 for the camera BRAIN® only, and complete packages under $10,000, RED RAVEN reflects RED’s ongoing commitment to the belief that cinema-quality creative tools should not be in the hands of a few—they should be available to all professional shooters. RED RAVEN is equipped with a 4K RED DRAGON sensor, and is capable of recording REDCODE RAW (R3D) in 4K at up to 120 fps and in 2K at up to 240 fps. RED RAVEN also offers incredible dynamic range, RED’s renowned color science, and is capable of recording REDCODE RAW and Apple ProRes simultaneously—ensuring shooters get the best image quality possible in any format. 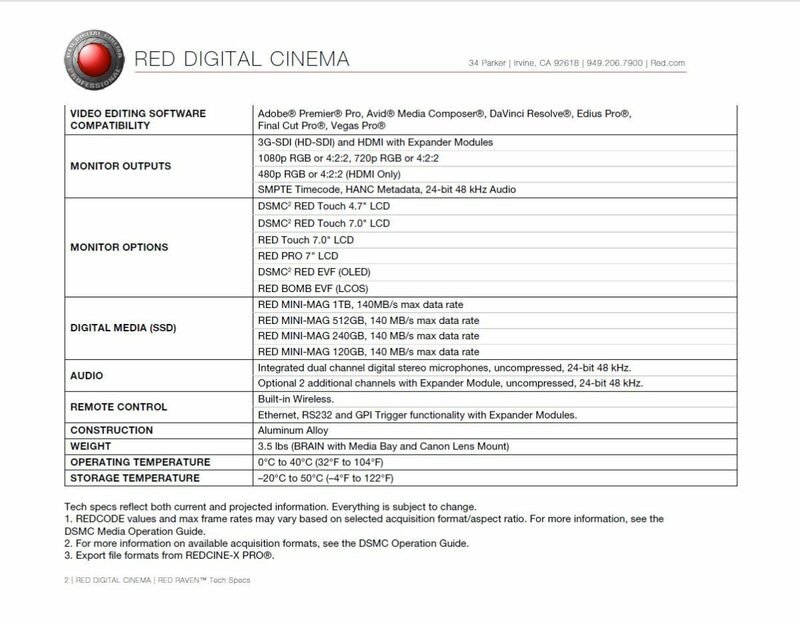 Here are the Official Tech Specs.